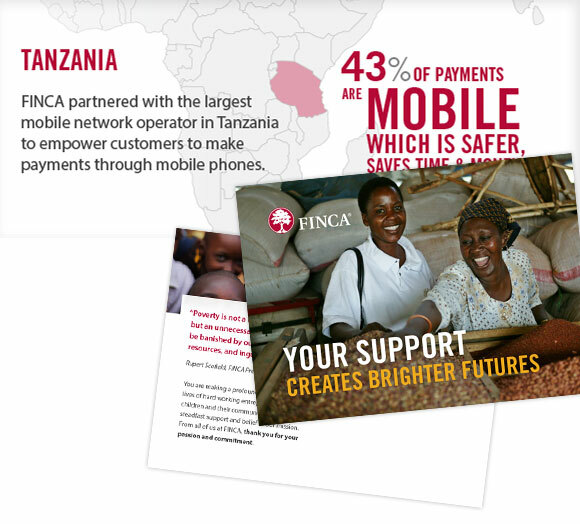 FINCA International fights poverty by providing financial services to low-income entrepreneurs around the world. 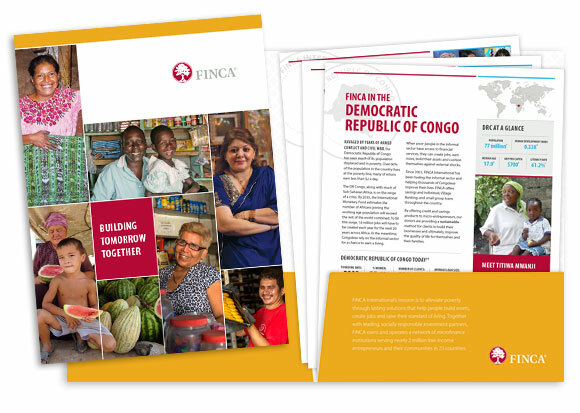 openbox9 has created a wide-range of print resources to help FINCA thank donors, inspire employees, and further their work. 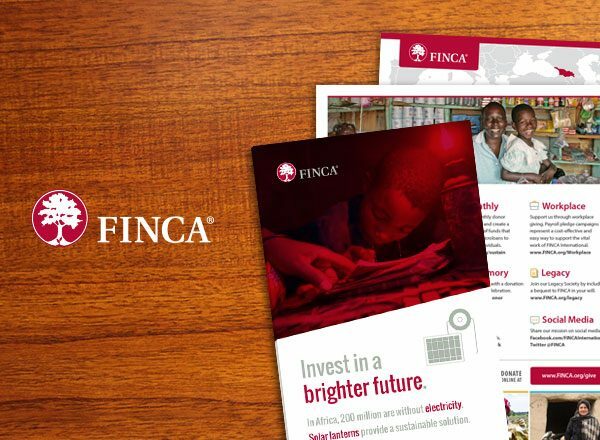 One initiative – a partnership between FINCA and Rotary Clubs – brings solar energy to rural Ugandan homes. 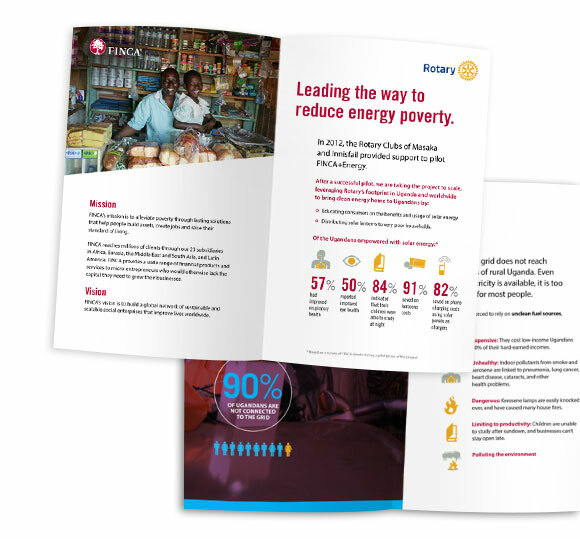 openbox9 designed a brochure to effectively communicate how solar energy leads to brighter futures. openbox9 also designed a fundraising folder with a series of inserts highlighting particular initiatives and country profiles. 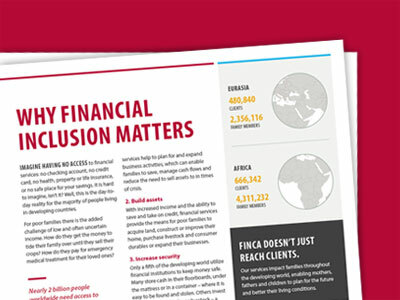 This allows FINCA to create a unique folder depending on the interests of investors. Each piece of the folder uses elements – colors, type styles, images, and icons – that tie together as a cohesive unit. Other design projects included infographics and postcards for various events and printed reports.